Nursing is a demanding profession with more skills and challenges than ever before. Nursing professionals do far more than most people imagine — and their impact is enormous. 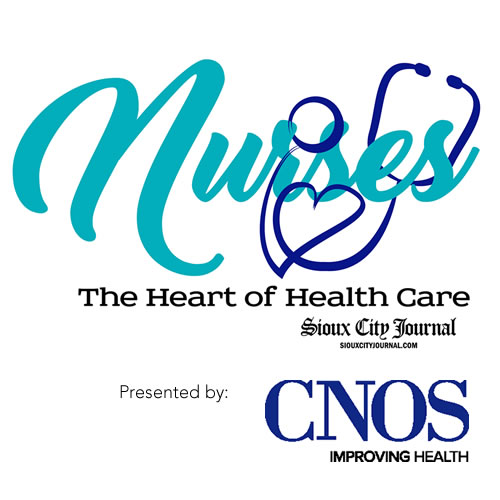 Join the Sioux City Journal in honoring & celebrating nurses throughout the area with “Nurses: The Heart of Health Care Awards Event presented by CNOS”. The informal event will be held at the Delta Hotel by Marriot from 4-6pm on May 9th in South Sioux City, NE. The event will feature a Cocktail hour from 4-5pm with music provided by the Sioux City Symphony. At 5 pm we will transition into the conference room and award our nurses of excellence with the event ending by 6pm. Your ticket will provide you will access to the event, two drinks, hor d’ourves, and the opportunity to thank those that in Nursing that make all our lives better!